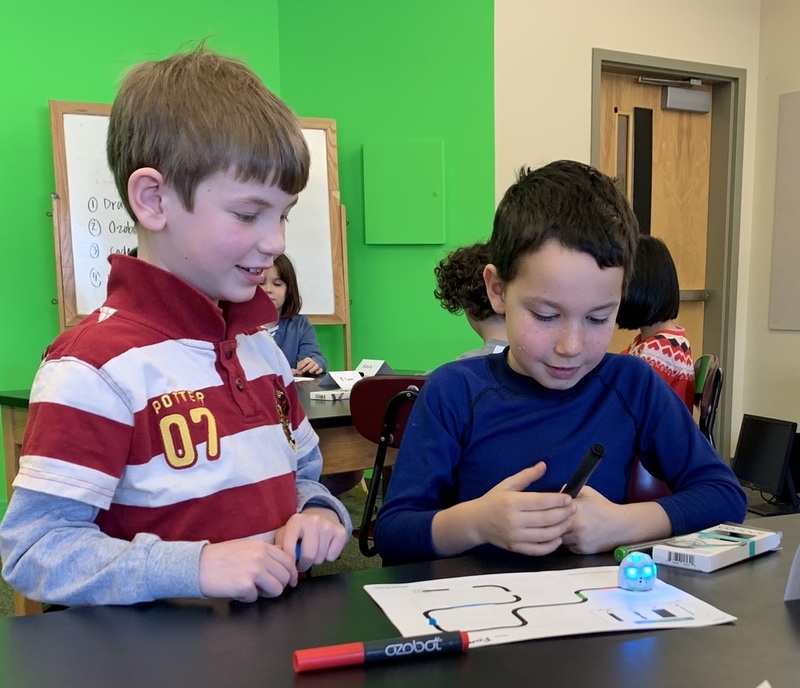 Second grade began their Robotics Unit with Ozobot Evos. Students are writing binary code using red, blue and green markers to program their robots to complete assigned functions. Check out our 2nd Graders here.